It was a busy weekend at our house with the Fall activities beginning, soccer evaluations, Ju Jitsu and Leaders in Training. 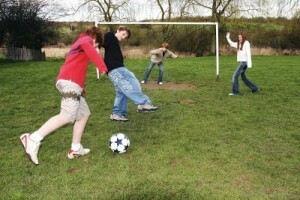 Rallying the kids, getting them ready and myself ready was quite the challenge, but we managed to get it all right. Well almost all. Somehow we mixed up the times for Matthew’s Ju Jitsu grading and unfortunately he missed it. He was pretty upset and now can’t grade until December, but his Dad ended up taking him for a motorcycle ride to ease his disappointment and they had a glorious time! It was a gorgeous warm, fall afternoon, with bright sunny blue skies. In the midst of all this activity, I still had a huge basket of apples in my kitchen, and though we were diligently eating them, there were still quite a few. So Saturday afternoon while Matthew was out I decided to make apple pie. 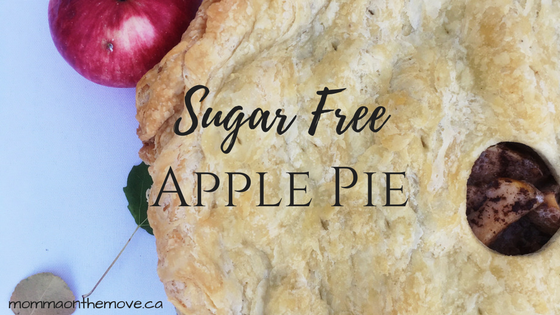 I had yet to try a sugar free version of this pie but was fairly confident after the success I had with the cherry pie in the summer (see earlier post for Sugar Free Cherry Pie recipe). I had pulled my pie crust from the freezer earlier that morning. (I make a it from scratch, simply using the recipe on the Tenderflake® box, making a whole batch at once which is six pie crusts, and freeze it for later). This makes it a lot easier and quicker to make a pie when the crust is ready. Plus I make a killer pie crust, even my sister, who loves to cook and bake, is envious of my crust as she cannot make one as light and flaky as mine 🙂 I simply roll it out, prepare the filling with the pie in the oven within 15-20 minutes. I used my apple peeler corer slicer once again to prepare my apples, also a great time saving device as you can peel, core and slice an apple in less than a minute. Mixed up the filling, estimating the amount of honey to substitute for the sugar, poured it over, put the crust on top and placed it into oven. When substituting honey for sugar you reduce the amount of honey by 1/2 to 2/3 of the amount of sugar. Honey can be is 2-3 times sweeter than sugar so you don’t need to use as much. 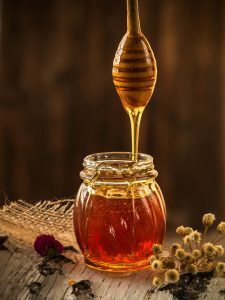 The amount of honey you will use will depend on the kind of honey you’re using (as some flavors are sweeter than others), and how sweet you like things. I found that using 1/2 cup of honey for the pie worked really well. Not too sweet that it overtook the flavour of the apples, but nice enough to sweeten it up a bit. The pie turned out beautifully. Matthew jumped for joy when he came in from his ride and saw it on the counter. The twins, who were dubious at first, wanted apple crumble, not understanding or knowing what apple pie was, as they had never had it before. Chloe especially insisted that she have crumble, but once she tasted her pie, she was sold and had 2 pieces! In fact, everyone loved it, ooed and awed and almost polished off the the whole pie! We had one piece leftover, which Matthew was lucky enough to take in his lunch to school. Roll bottom pastry and fit into a 9 inch pie plate. Let excess drape over the edge of plate. Peel, core and slice apples and put into pie plate, arranging evenly. Sprinkle apples with cinnamon, to taste. Mix honey and flour together. Pour evenly over apples. Roll out top pastry, dampen edges with water and place top pastry covering apples. Press and crimp edges together, then cut off excess pastry. Cut several slits in the top to allow steam to escape. Bake in 350 F oven until apples are tender, about 45 minutes. Serves 6-8. 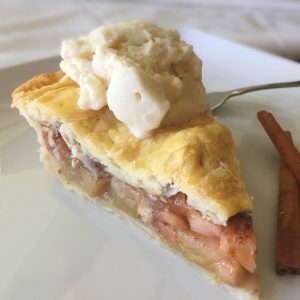 This entry was posted in Healthy Eating, Recipes and tagged apple crumble, apple peeler corer slicer, apple pie, dairy free, fall activities, healthy eating, homemade apple pie, honey, Ju Jitsu, Leaders in Training, recipes, soccer, substituting honey for sugar, sugar free, Tenderflake by Carmen. Bookmark the permalink. It’s in point of fact a great and helpful piece of information. I am glad that you shared this helpful info with us. Please keep us up to date like this. Thanks for sharing. Hi Cecila, I update my blog 2-3 times a week. Glad you are enjoying it and thanks for frequenting my site. I’ll right away seize your rss feed as I can’t to find your e-mail subscription link or e-newsletter service. Do you have any? Kindly permit me realize so that I may subscribe. Thanks. Hi there, thank you for your recent comment. You may subscribe to my blog by clicking on the ‘subscribe’ tab at the top of the main page. It will take you to a page to enter your email address. Once you submit, new posts will come directly to your inbox! Have a great day!